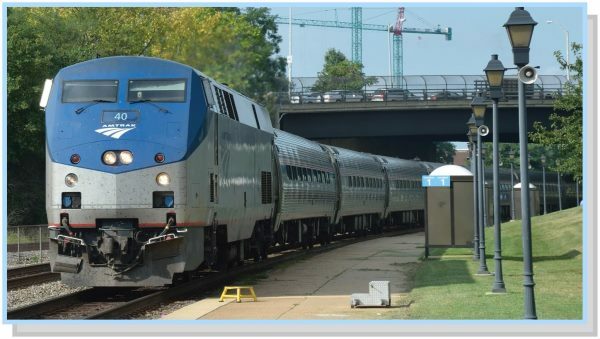 ARLINGTON, VA – Long credited with fueling economic development in Northern Virginia, Metrorail and Virginia Railway Express (VRE) provide more than $600 million annually to Virginia’s general fund, according to a report released today by the Northern Virginia Transportation Commission (NVTC). The additional 85,000 households and 130,500 jobs that the two rail systems make possible in Northern Virginia generate both sales and income tax revenues that flow to Richmond. For every dollar the state invests in Metrorail and VRE, it receives $2.50 in return. While $600 million represents just over 3 percent of general fund revenues, the amount is significant. It covers Virginia’s annual general-fund expenditures on state colleges and universities, about $316 million, and state police, roughly $266 million. Part of what distinguishes this study from earlier ones is that it is dynamic, accounting for the level of activity that the regional transportation network can support. 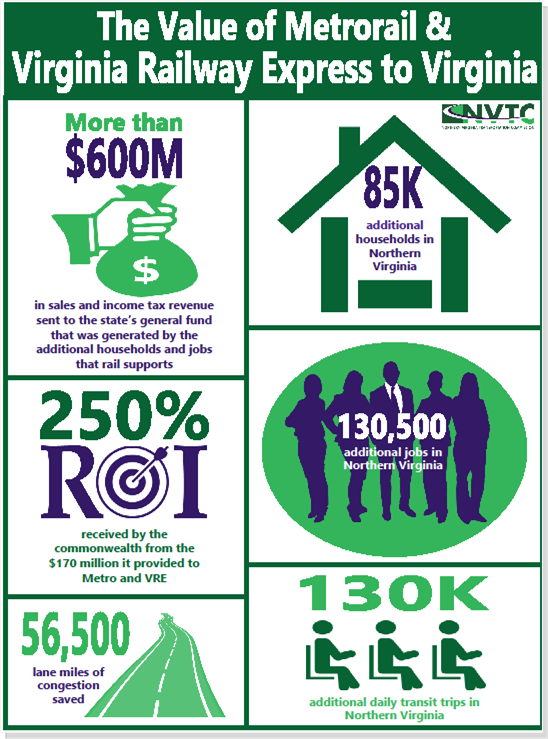 NVTC’s approach is unique in that it evaluates the interaction between land use and transportation demand. “The approached used in this study raises the bar for future transportation studies, both here in the Commonwealth and beyond,” said McKay. NVTC’s analysis was informed by the expert opinions of others. NVTC engaged its peers in the transportation community in a comprehensive technical review of the study’s methodology and assumptions. These groups – which included the Washington Metropolitan Area Transit Administration, Transportation Planning Board, Federal Transit Administration, and George Mason University – considered the work plan, technical approach, and findings, and provided comments on the study.